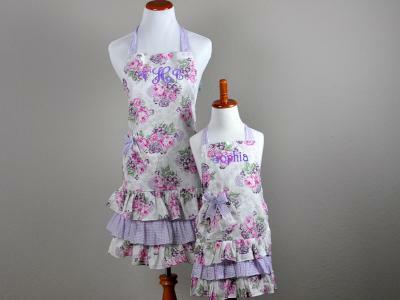 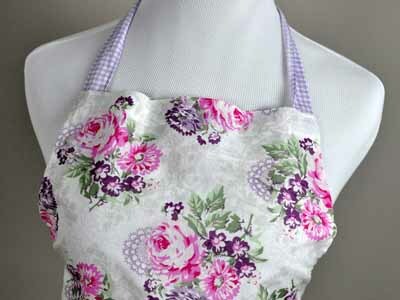 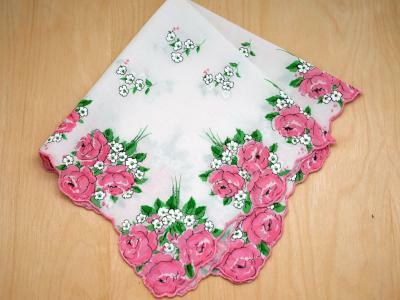 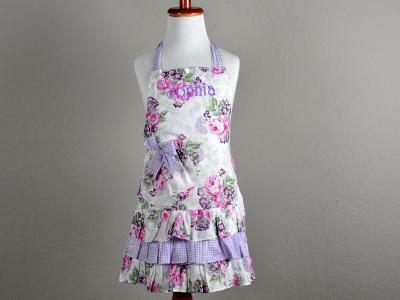 This plum and pink vintage inspired hostess apron will be a sure hit with your guests. 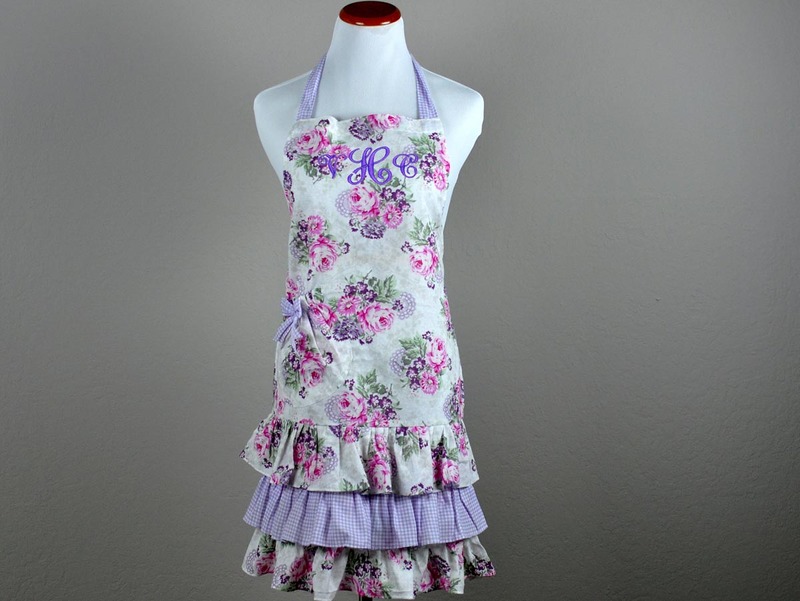 Flirty and fun in nature, this stylish apron will make you look fabulous while serving your guests. 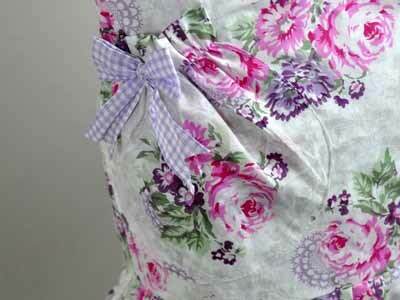 A must have if you want that special vintage look! 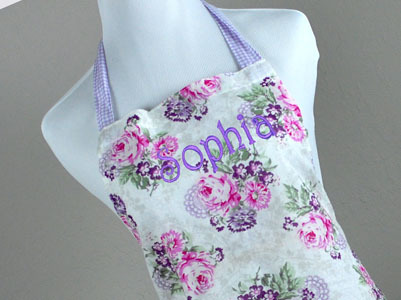 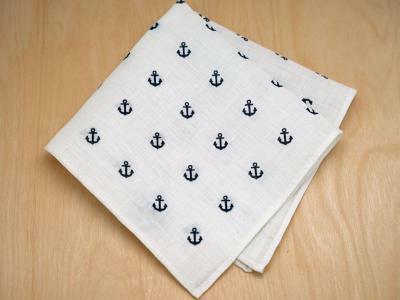 The apron is made of 100% cotton and measures 10" from neck to waist, 20" from front waist to bottom, 21" across the waistband + 2 ties on both sides. 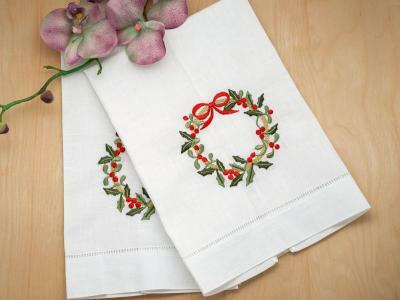 Very lovely and perfect for a ladies tea party and would make a lovely hostess gift. 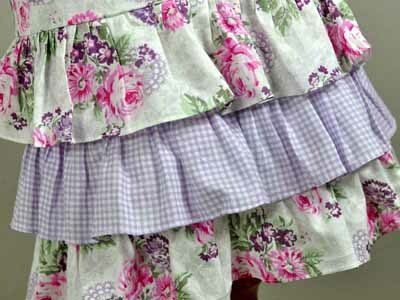 Vintage Inspired Purple Gingham and Pink Hostess Apron Customers have rated this product	5 out of 5 based on 1 rating(s). 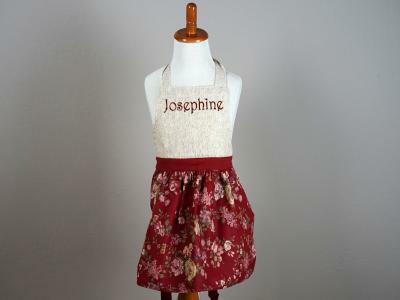 Really, really cute. 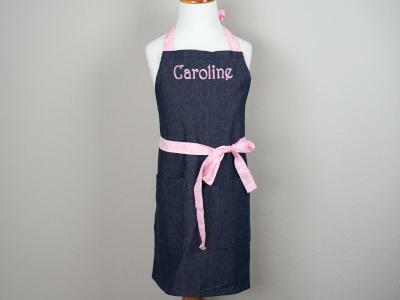 I got it for my sister, she always wears an apron. 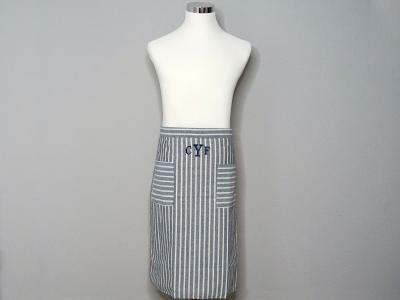 Great price also!